I've never really made an effort to try Zoella's Beauty range but when my mum came home with her All Four You set, I had to give them a go. For £4.99 in Superdrug, I don't think my mum could resist them. 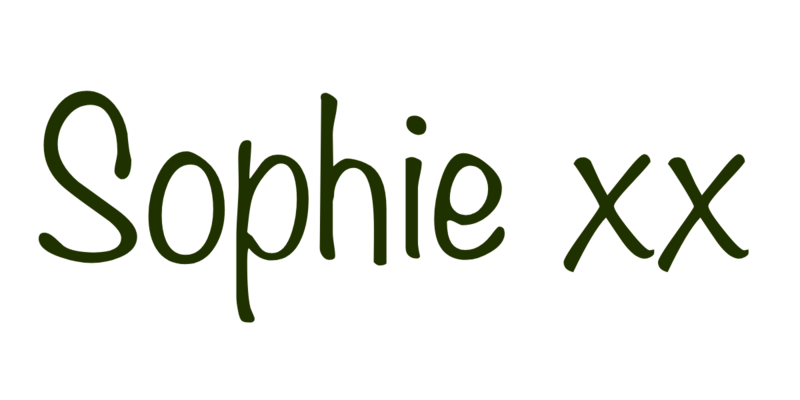 Zoella Beauty is something that is always coming up on my feed from fellow bloggers and it's something that I've been meaning to give a go. As a birthday present, last year, I received some of her Bake My Day range which I loved so I don't know why I didn't buy any more of her products sooner. I know it's no longer Christmas, but I don't think that these mists will ever be just for Christmas! First, let's talk about the packaging. 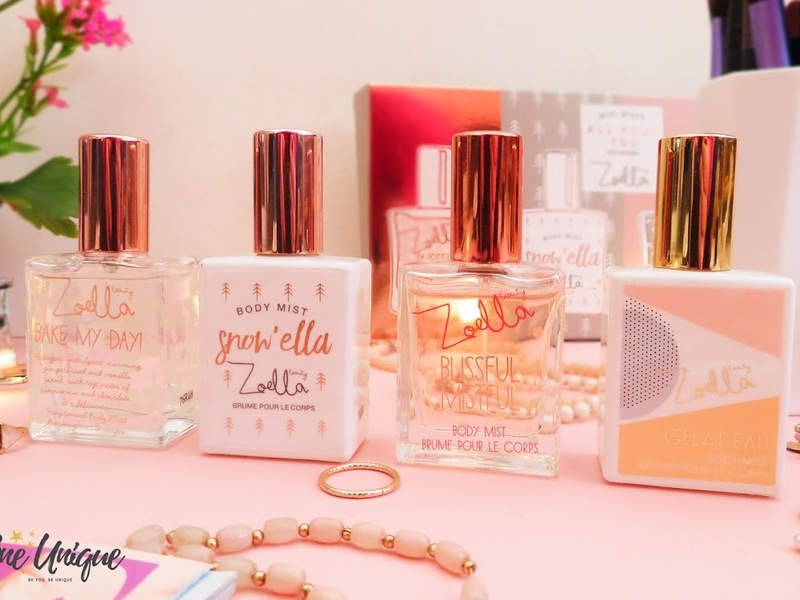 The boxing for this set is absolutely gorgeous and I love the colour theme that Zoella has going on. Design wise, there's a mix between matte and metallic which makes this packaging look ten times cuter. There's a little illustration of the bottles on the front of the box which lets you in on what you're buying. The packaging just works. Moving onto what you actually get. There are four mini body mists that you receive in this set, those are; Blissful Mistful, Snow'ella, Bake My Day and Gelat'Eau. I've heard great things about all of these and I'm pretty sure my sister used to use Blissful Mistful and I loved it! For each, you get a 15ml bottle - perfect handbag size! 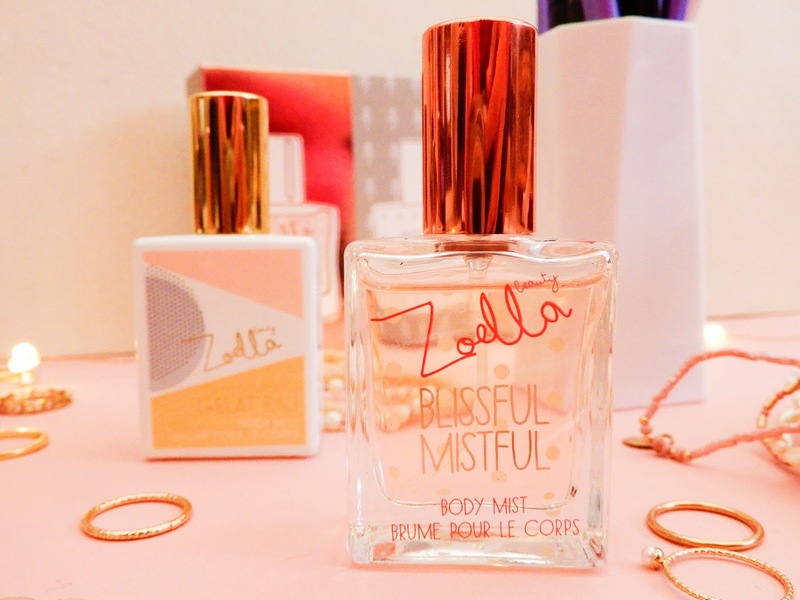 Blissful Mistful is a Zoella oldie but it's still amazing nonetheless. This fragrance is quite light and floral - perfect for the Spring months. Unlike some perfumes, this doesn't give me a headache because it's not too concentrated and the scent is pretty simple, in a good way that is. I think it is quite an acquired scent, it is sweet smelling but you'll either love it or hate it. I'm not too sure about it if I'm being honest - I'm still to make up my mind. The next fragrance is Snow'Ella. I really like the bottle for this one, the contrast of the block white bottle against the rose gold decorations is really nice. I think that this is my favourite scent of the four, it's still quite sweet but it definitely pack a punch. Initially it has quite a fruity smell with a mix of floral but once it's been on for a while, you can really smell the floral. This does remind me of winter and I would consider buying this again. Bake My Day is a lot different to the others. If you haven't guessed already from the packaging, this is a gingerbread scent. I'm not particularly keen on this one. I love gingerbread but I think that any beauty product that tried to replicate the smell always fails and it smells too sickly sweet. This is what's happened here. Don't get me wrong, on a much smaller scale it's lovely - I have the Bake My Day gingerbread lip balm and it's gorgeous! Bake My Day is way too strong ans sweet for my liking, I'm giving this one a miss. 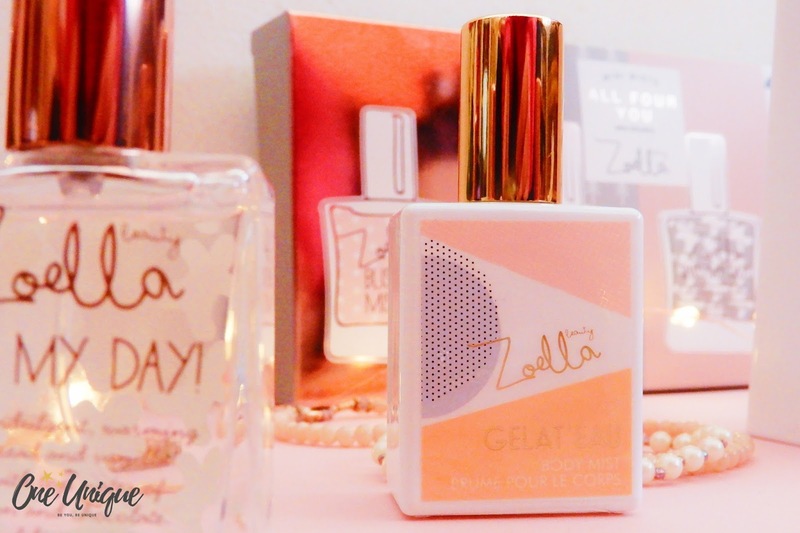 In the summer, Zoella bought out a Jelly and Gelato range which was all the hype for about three months. I never thought to give it a go since I gave one product a sniff in the store and instantly put it down. As for the body mist (Gelat'Eau), I'm pleasantly surprised but it. I love the bottle but I love the smell just a little bit more - it's still not in my top 5 scents however. Apparently, the scent is like elderflower and double cream? Whatever this is, it smells so summery and I'll be buying some more for my holidays! All in all, I'm split by the All Four You set, two of the scents, I absolutely love. The other two...well, they won't be touched. I think that the whole idea of having some of the best selling body mists in a mini set is great and I'm glad that I've given them all a go. Snow'Ella and Gelat'Eau are my favourite two and they'll get used quite quickly no doubt. 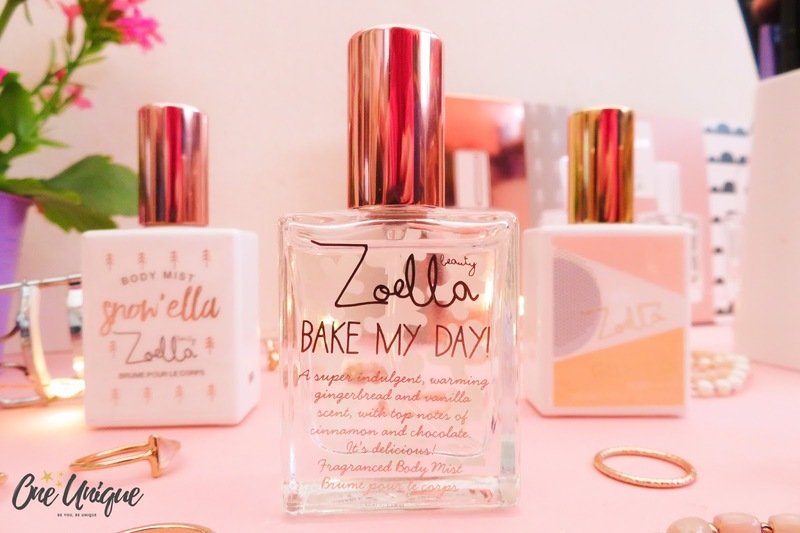 What's your favourite Zoella product? You should give them a go! The little bottles are so cute! The jelly and gelato scent is my favourite. I much prefer the Bake My Day lipbalm but I agree with the long lasting scent part! I am in love with Blissfuk Mistful is such a lovely scent!! Wow... I just love this Zoella's All four you range. Thanks for sharing this. I really liked this.